A new trial will see palliative care patients treated with psilocybin to reduce anxiety about their deaths. Thirty patients have signed up to the trial at Melbourne's St Vincent's Hospital after a year-long battle to have the study – which involves the psychoactive ingredient in magic mushrooms - approved by the ethics committee, as well as state and federal authorities. Patients will be given a single dose of the psychedelic drug, which is believed to be able to ease anxiety, fear and depression for extended periods. Applicants will closely monitored by two clinicians on day they receive their dose and while the initial high wears off. “With therapists in the room providing therapy it will allow people to have a heightened awareness of their situation, see the problem and work through it,” Mark Bowie, director of Palliative Medicine at St Vincent Hospital, told reporters. 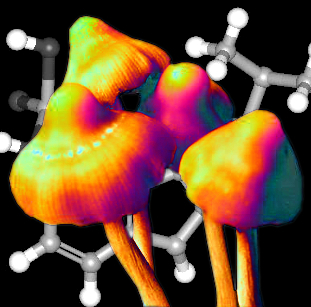 It comes after a similar trial conducted at New York University, in which 70 per cent of patients reported their psilocybin experience as one of the most spiritually significant experiences of their lives, and 87 per cent reported increased life satisfaction. Vice President of Australia’s Psychedelic Research In Science and Medicine Association Dr Stephen Bright says it appears that regulators are becoming more open to the medical applications of psychoactive substances.